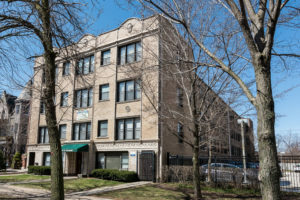 Interra Realty just brokered the sale of 5424 South Cornell Ave., a 64-unit Hyde Park rental community, for $6M, or about $94K per unit. That is a low price compared to apartments in hot submarkets around The Loop, but what caught Senior Managing Partner Joe Smazal’s attention was the level of interest. “It was a deep buyer pool,” he said. Interra received six written offers on the property, including several bidders from outside Hyde Park and even out-of-state national buyers, and that is a big change. “This is a submarket that more and more people are considering, far more than they did five years ago,” Smazal said.